I have largely stopped reading your columns because of the no comment rule you insist on. [JF Note: As good luck would have it, the reader happened to see this item and respond within a few minutes of its going up.] To me, it seems quite intellectually cowardly, not a brave stand as you would have it. To say that open (unmoderated) forums become a place "ruined by bullies, hotheads, and trolls" does not really represent a coherent argument to be against them. Should we shut down speaker's corner in London because of "hot heads and bullies"? Or stop town halls stuffed with Tea Partiers because arguments may be too narrow-minded? You obviously can chose to read through them or not, but not all the comments are thoughtless and I don't think the intellectual world needs you policing the unseemly things that some people say. All it seems like is that you would find it too unseemly to have one of your articles sullied by some stupid comment, that it would ruin the whole thing. Do all other authors at the Atlantic or others writers like Ezra Klein, or Jonathan Chait or whomever, painstakingly winnow out bad comments. Most forums allow other commenters to flag truly offensive comments that you could track of without following the entire thread. Really, what are you so afraid of, why do you have such a low opinion of your readers? To answer the question directly, what I am afraid of is committing the time to moderate a comments section. Other people are content with unmoderated comments, and that's fine for them. 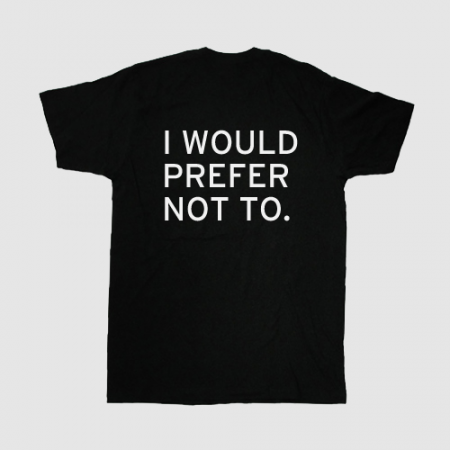 But in my own case, in the celebrated words of Bartleby, "I would prefer not to." The thing is, a good commentariat turns a blog into a community, and a topic into a conversation. They are wonderful in theory. In practice, they inevitably are ruined by the mean, the stupid, the angry and the troll. The poster child is Matt Yglesias. Hated by many on the left and most on the right, his comment threads deteriorate into a morass of spittle, bile and ugliness. I find it neither entertaining nor enlightening to read that kind of 'input'. I feel that there are many people whose writing can make for an interesting conversation, but in most cases - you, Yglesias, Drum, Marshall - I end up having that conversation via email. Let's face it - an interest in politics, public policy and international relations results in one's having to confront a great deal of ugliness and hatred. Reading the very personal embodiment of that kind of unhinged ideological anger is just not something I'm willing to do. I am glad comments exist in many of the things I read regularly (Charlie Pierce and Wonkette come immediately to mind). But reading your notice today made me realize that when I click on the link to your blog, I have a sense of walking into a library or museum, where I know I will find evidence of what and how people think, guided by, and including, your thoughts and comments. I expect and enjoy screaming at a rock concert, but I also enjoy some quiet time. I usually avoid reading "comments," although the ones in T-NC's column often are worthwhile. Your post got me thinking about one of my favorite Gene Weingarten quotes: "I basically like 'comments,' though they can seem a little jarring: spit-flecked rants that are appended to a product that at least tries for a measure of objectivity and dignity. It's as though when you order a sirloin steak, it comes with a side of maggots."